I'm really taken with the artwork of Melbourne-based Paula Mills. 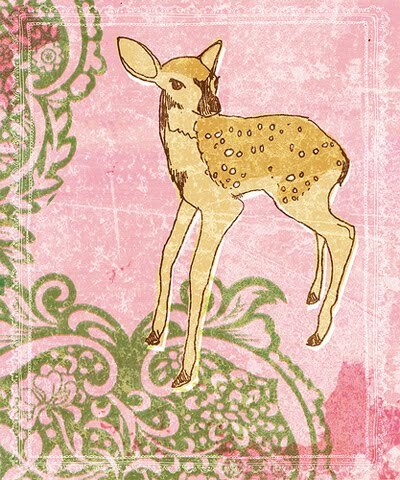 Paula's dreamy pieces feature birds, animals and everyday objects. I'm always a sucker for chairs and teacups. And I love the many works that include the sweet redhead character Camille. Paula's pieces have an old-fashioned sensibility while still being very "now". 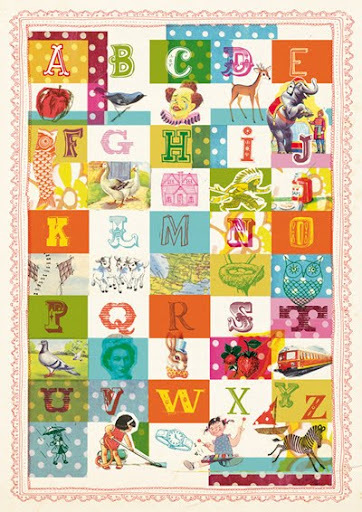 I'm particularly drawn to the retro styling of the alphabet artwork (see above), incorporating vintage papers - one of Paula's loves. How perfect for a nursery. You can find Paula's work in the Sweet William MadeIt (Australia), Felt (NZ) and Etsy stores online. Along with sister Shelley and and sister-in-law Jennine, Paula offers beautiful paper goods, brooches, Camille dolls, illustrations, purses and the beautiful 2010 Calendar featuring 12 illustrations (perfect for framing next year). You can also find Paula's work at various stockists in Australia and New Zealand, listed on the Sweet William blog. 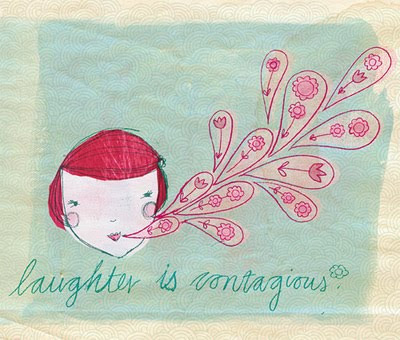 Don't forget to check out Paula's latest work on the Paula Mills blog. And for even more Paula goodness, there is a lovely interview on the Edward & Lily blog that I enjoyed reading. Thanks so much for this great spotlight - its so nice when others do a little shout out - its makes for a gleeful day! Hi Paula, you're so very welcome. It seems you've got lots of fans!